Holy heck... what is up with Ehlek's face?! By cancelled I don't mean themes that ended or sets that retired, but rather sets and themes that were planned for realise, but for some reason never saw the light of day. So, let's discuss! What sets that were cancelled do you regret never got released? Personally, I regret all those cancelled LEGO Games sets... 4 of them in total. Heck, there was even a Knight's Kingdom game planned, but never released in 2009. Wait, 2009?! Knight's Kingdom was between 2004-2006. Another regret is probably the Sand Tarakava, which didn't pass the prototype stage, and 5 prototypes were given to 5 random collectors. It would have been cool to get it... Good luck you can still build it if you have the right parts, like @Eljay did. You can’t actually build the sand Tarakava out of extra parts because the yellow Ruru is exclusive. Eljay painted his. Also the Brutaka thing was a fake. Thanks for telling me. 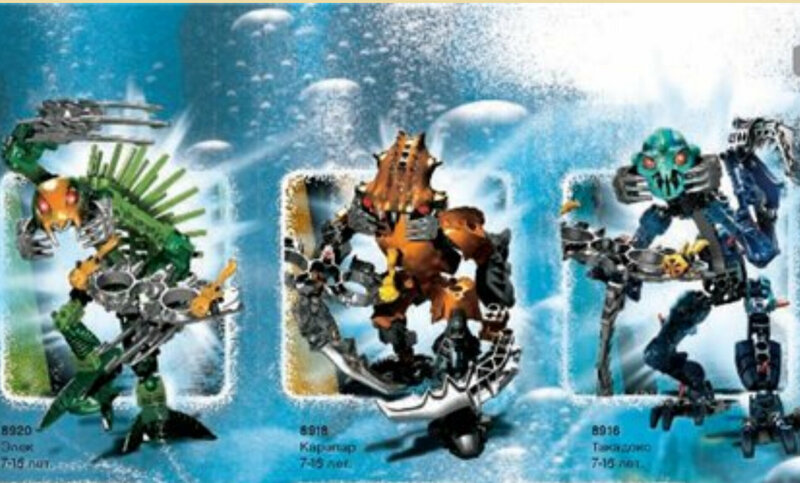 Still, a 2007 Brutaka Titan set would have been sooo cool. What a shame we never got him. Shouldn't this be merged with the prototype set topic? No, this is about sets that were never released, not about prototypes. Prototypes are WIP versions of sets. This is about sets that never got released, whether they made it past the prototype phase or not (which many of them did). Got these in the mail recently. Very interesting parts. It looks like the injection mold wasn't fully purged before the parts were made, resulting in the mottled appearence.